Fall is here, and our local museums have lots of special activities lined up for September. Here are my picks for things to do in L.A. for kids and grown-ups. And don’t forget, the Getty Center Museum and the Skirball will be closed the weekend of September 29-30 during the 405 freeway shut-down (a.k.a. Carmageddon II). 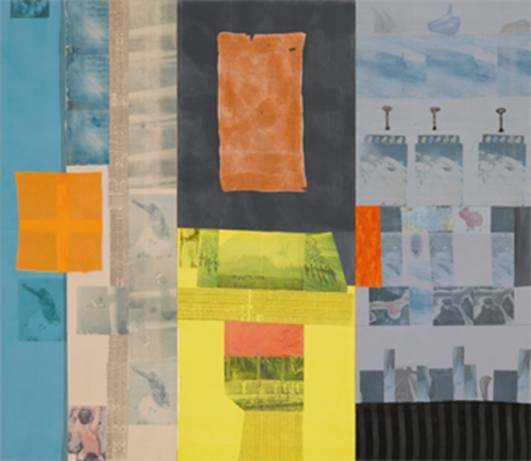 Teen Printmaking Workshop (Saturday, September 22, 10am – 1pm): Inspired by the Huntington Museum’s 20th Century Masterpieces including their newly acquired Rauschenberg (see photo insert), this hands-on artist led workshop teaches teens about the art of printmaking. Registration 626-405-2128. Fee $30/$35. Ages 14-17 yrs. Free Family Flick (Sunday, September 23, 11am): The Hammer’s screening of Mr. Smith Goes to Washington is a fun family movie pick in light of the upcoming presidential election. This classic 1939 James Stewart film is a great way to introduce your kids to the complexities of trying to make a difference in the American political system. Recommended ages 8+. Kids Mask-Making Workshop (Sunday, September 30, 1-4 pm): In the workshop Cuckoo, Crazy, Curious Creatures kids explore the Fowler Museum’s exhibition Curious Creatures from Mexican Popular Arts, an exhibition of over 40 imaginatively crafted animal figures. Afterwards, they can create their own crazy creature masks. Free. All ages. Night out: Museum opening receptions and movie screenings make inexpensive and creative date nights. Try one of these events for an artful night out this month. The Santa Monica Museum of Art (SMMoA) hosts an opening reception for their new Michael Queenland sculptural installation on Friday, September 14, 7-9 pm, free. The Fowler Museum at UCLA’s opening party for In Extremis: Death and Life in 21st Century Haitian Art with Haitian inspired live DJ sets, dance performances, and cocktails (Saturday, September 15, 2012, 6:00–8:30 pm). Reservations fowlerRSVP@arts.ucla.edu or 310/206-7001. The Clock at LACMA: Still haven’t seen Christian Marclays’ cinematic montage The Clock? Well, here’s your chance. LACMA presents another 24-hour screening of The Clock on Saturday, September 22, 12pm through Sunday, September 23, 12pm. And don’t forget to stop by ForYourArt (across the street from the museum) for some free donuts. Ai Wei Wei Film Series: Also not to be missed, the Hammer’s film series of documentaries by and about Ai Wei Wei, China’s most famous international artist and outspoken domestic critic; including the behind-the-scenes portrait of the artist’s life Ai Wei Wei: Never Sorry on Monday, September 24, 7:30pm. The Craft and Folk Art Museum (CAFAM) celebrates the opening of their new exhibition on Los Angeles tatoo art L.A. Skin and Ink: Tatooing in Los Angeles from 1960-1980 on Saturday, September 29, 6-9 pm, $12/members free. Posted in Calendar Picks. Tagged as family activities, kids activities, Los Angeles Museums, things to do in L.A.